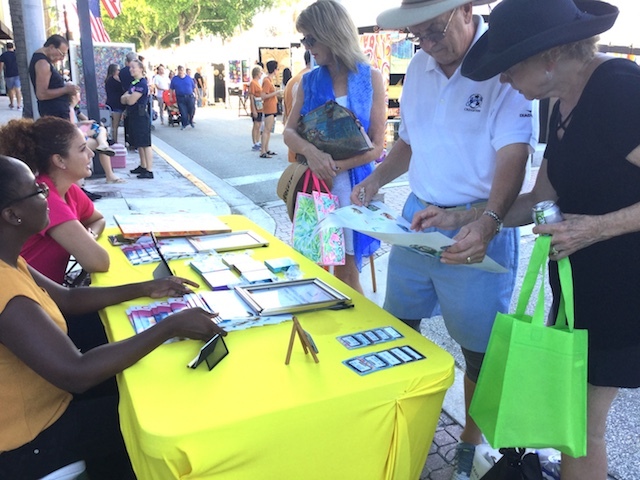 Behind Bahamas booth, Bahamian artist Lyndera Hall looks on as Adrian Kemp, BTO Sr. Marketing Representative, assists a guest with a signup for a Bahamas Give-away to any Bahamasair destination (donated by Bahamasair ltd.) and an original painting donated by Hall. 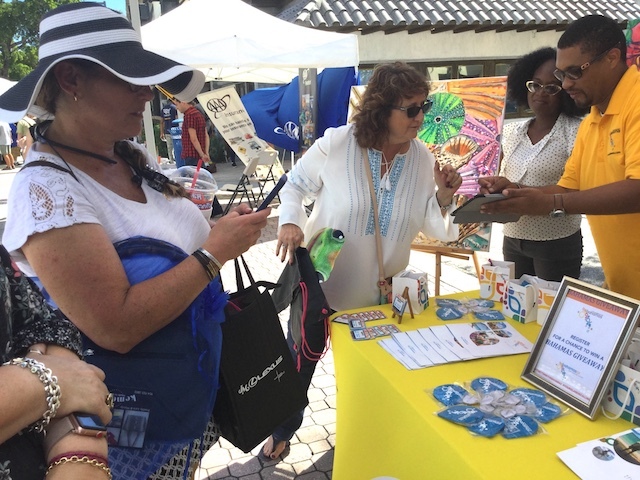 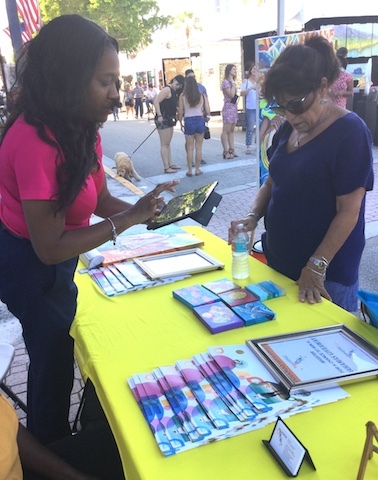 Sr. Marketing Representative, BTO Florida, Phylia Shivers, assisting Guest with a signup for a Bahamas Give-away to any Bahamasair destination (donated by Bahamasair ltd.) and an original painting donated by Bahamian artist, Lyndera Hall. 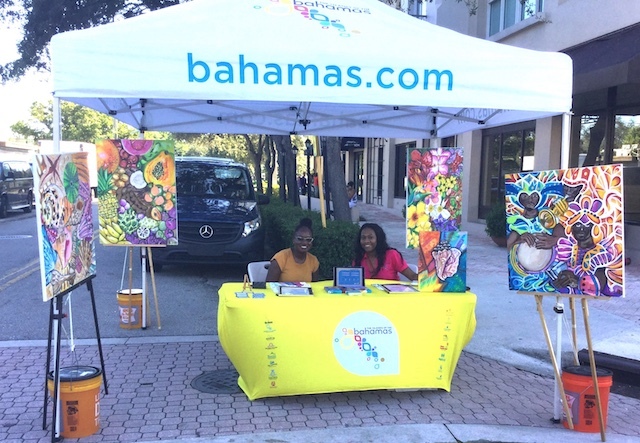 L-R seated at Bahamas Booth, Bahamian artist Lyndera Hall and Phylia Shivers, Sr. Marketing Representative, BTO, Florida, surrounded by paintings of Hall depicting Bahamian culture.